Dreadlocks have become a popular trend for those who want to wear their hair in a natural state. Often, the hair style has been misunderstood by those who do not wear natural hair styles. The dreadlock profile has come to be associated with criminal behavior or the practice of unkempt hygiene. This is a stereotype that has made it tough for those with dreadlocks to move in social circles without judgment. Human hair will naturally begin to dread when it is left uncombed. For those with straighter hair, this process may take a much longer time, though eventually, it happens. Those with coily or curly hair will start to see the process happen much sooner. As coily hair grows, it starts to wind around itself and form knots until it is matted. Straight hair will matte in different sections along a single dreadlock until the entire lock is finally matted. This is how natural dreadlocks are formed. Loctitians and natural stylists may give some good advice for starting dreadlocks. Some suggest palm rolling or may suggest using a crochet hook to knot the hair at the root. This crochet method can be very damaging to the thin hair or hair that is weak at the roots. The knot may eventually cause the entire dreadlock to fall out. Hair loss from improper dreadlocking is a common problem. 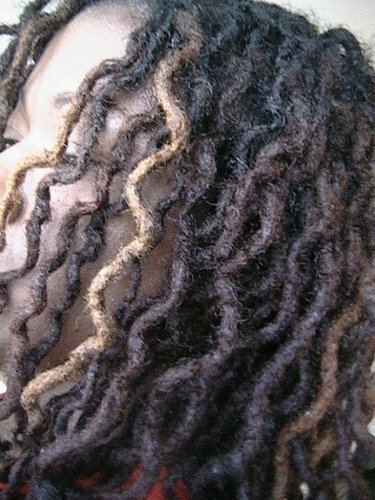 Others recommend starting the locks as two-strand twists and holding the twist together so it will not unravel with beeswax or holding gel. The problem with these two conditioning ingredients is that they do not promote natural dreadlock growth. Beeswax allows too much gook to build up on the hair. Gel contains alcohol, so it is very drying. Those who use gel usually deal with excessive flaking of the hair and scalp when the gel residue starts to wear off. Many people decide to start dreadlocks for spiritual reasons. They do not want to put chemicals in their hair and need to stick with a natural alternative. Their hair represents their own belief in their natural beauty, and they display this belief by deliberately choosing to wear a natural hairstyle. For some, hair is very personal, and a dreadlock is the manifestation of good energy. A stranger or an unfamiliar hand touching their hair without permission is a break in that good energy. The dreadlock is a level of holiness, and assigning any other meaning to it is sacrilege.